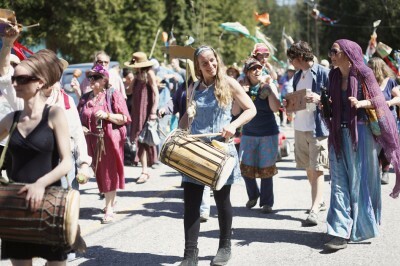 The unincorporated village of Winlaw, 20 km north of the junction of Highway 3a and 19 km south of the Village of Slocan, is probably the funkiest little town in the valley. Winlaw is a rainbow of people, styles, hair, vehicles and lifestyles. 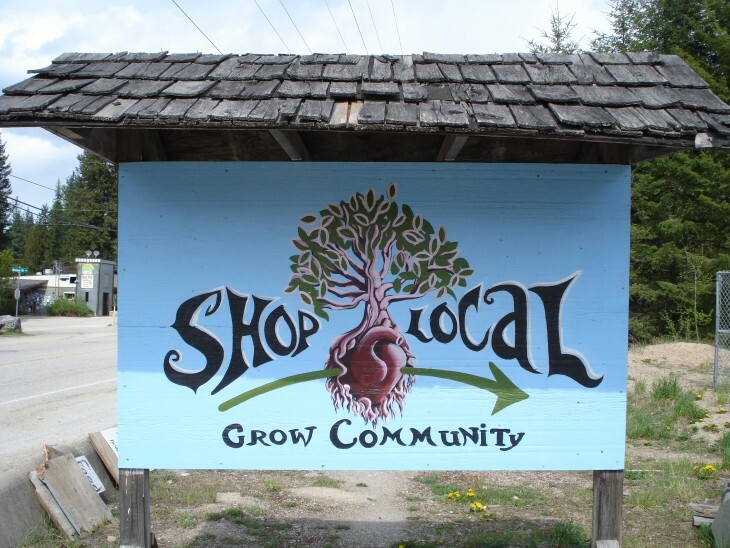 It’s the home of a gas station, variety store, liquor store, two restaurants, medicinal herbs store, metaphysical bookstore, yoga studio, hidden galleries, u-brew, hardware store, feed & tack store, fire hall, community hall, bakery, fruit & veggie stand, numerous other home-based business & small farming operations, school, daycare, post office, and countless societies and community organisations. Winlaw has one of the six one-lane bridges over the Slocan River. Winlaw is the start of The Loop, an annual Shreddin’ the Loop mountain bike race. Winlaw was named after John B. Winlaw, who built a sawmill here around 1900 and like other communities in the valley was a railway siding. Those rather traditional roots have nourished an eclectic community, which celebrates its diverse lifestyles and ways of thinking and being. Hemp, polyester, dreads, golf-shirts, suits, lumberjack shirts, hiking gear, Volkswagen buses, logging trucks, Mercedes… they’re all here.